It's been a great start to the year and the last day of March saw us clock up 100 species for the year, when Brambling (five were seen throughout the day), Jackdaw and Common Redpoll were all noted for the first time in 2014. The fresh easterly wind seemed to be encouraging a few birds to keep their heads down and the Bluetail had either departed (which seems most likely) or perhaps relocated to another, as yet unknown, area on the Isle. There were still 123 Robins counted, with most of the trapped birds today being 'new' suggesting a probable turnover of individuals, whilst species showing increased counts since Sunday included 52 Dunnock, 3 Grey Wagtail, 2 Greenfinch and 2 Short-eared Owl, whilst a Woodcock was the first for a while and Jack Snipe and Black Redstart were also new. Three Iceland Gulls were again present, presumably birds lingering from recent sightings. Male Reed Bunting (Ciaran Hatsell). 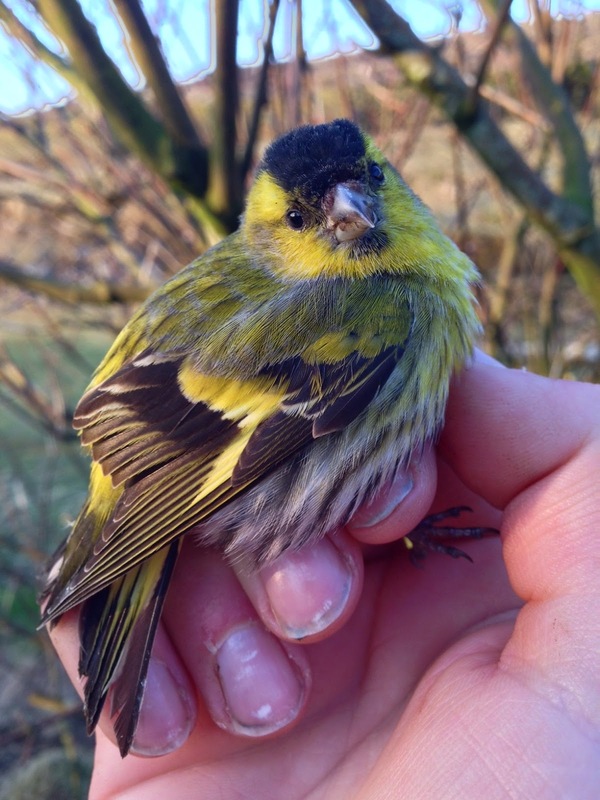 A decent variety of birds are turning up in the traps as the spring progresses. I told you it was a good month for them! Although if we get one on Fair Isle shortly after you return from America, it might look a bit suspicious!